Thank You For Visting Haven Care Nursing and Rehabilitation! Our mission is to exceed the expectations of each resident and their family members, who entrust us with their care in an environment which celebrates the individual dignity, and value of all that live and work here. Our parents and grandparents have taught us the value of long term commitment. Through their experiences they have gathered a lifetime of beautiful memories that have endured through the years. 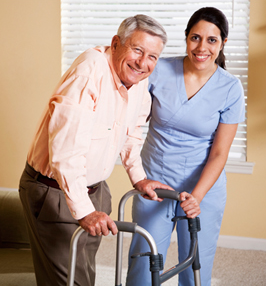 Our staff recognizes the uniqueness of each resident and strives to provide individualized care. Realizing that employees are one of our greatest assets, every person is empowered to make a positive difference in each of our residents lives. Working as a team, drawing on the strengths of each team member, we constantly strive for extraordinary results.